Box Text: Dark Times Need a Dark Hero! It is the end of days and ungodly powers from demon lairs suffocates mortal beings. The Earth’s alliance with the Heavens has been threatened by a dark and malevolent force - the mysterious Lords of Shadow. Gabriel is a member of the Brotherhood of Light, an elite group of holy knights who protect and defend the innocent against the supernatural. 11-15-2018 tripredacus Box Text Dark Times Need a Dark Hero! It is the end of days and ungodly powers from demon lairs suffocates mortal beings. 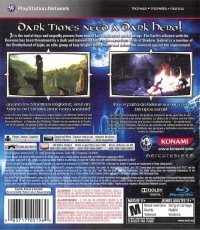 The Earth’s alliance with the Heavens has been threatened by a dark and malevolent force - the mysterious Lords of Shadow. Gabriel is a member of the Brotherhood of Light, an elite group of holy knights who protect and defend the innocent against the supernatural. 05-31-2017 silverbow Box Text [In English, French & Spanish] Dark Times Need a Dark Hero! It is the end of days and ungodly powers from demon lairs suffocates mortal beings. The Earth’s alliance with the Heavens has been threatened by a dark and malevolent force - the mysterious Lords of Shadow. Gabriel is a member of the Brotherhood of Light, an elite group of holy knights who protect and defend the innocent against the supernatural. 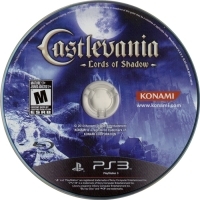 This is a list of VGCollect users who have Castlevania: Lords of Shadow in their Collection. 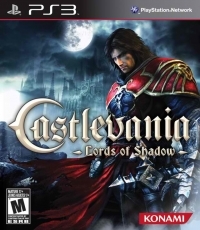 This is a list of VGCollect users who have Castlevania: Lords of Shadow in their Sell List. This is a list of VGCollect users who have Castlevania: Lords of Shadow in their Wish List.